An inspiring member of Livewell Southwest’s Wellbeing team has won a top award for her voluntary work supporting new parents. Mandy Chapman, who works as a health improvement practitioner based at Mount Gould Hospital, Plymouth, has been named South West regional winner in the National Childbirth Trust Star Awards in recognition of her work as an NCT breastfeeding counsellor delivering breastfeeding sessions as part of NCT antenatal courses and offering support and visits on a voluntary basis over many years. 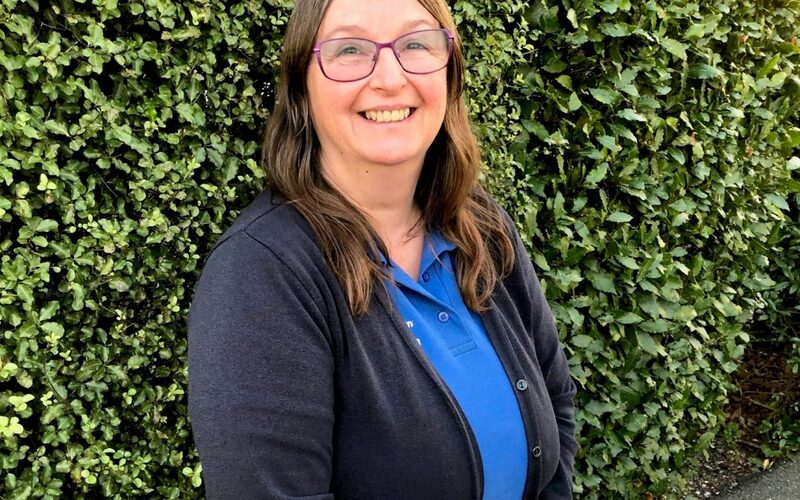 Announcing the results, judges said: “Mandy has been an important part of Plymouth & West Devon NCT branch for around 10 years and her dedication and commitment is seemingly without limits. She is kind, sympathetic and caring and always prepared to go the extra mile to support new mums. Jan Potter, head of Health Improvement at Livewell Southwest, is Mandy’s manager, and she said: “I was Mandy’s health visitor in Honicknowle 15 years ago and I encouraged her to become a volunteer peer supporter. She then joined the team and now delivers a whole range of training, health checks and programmes.